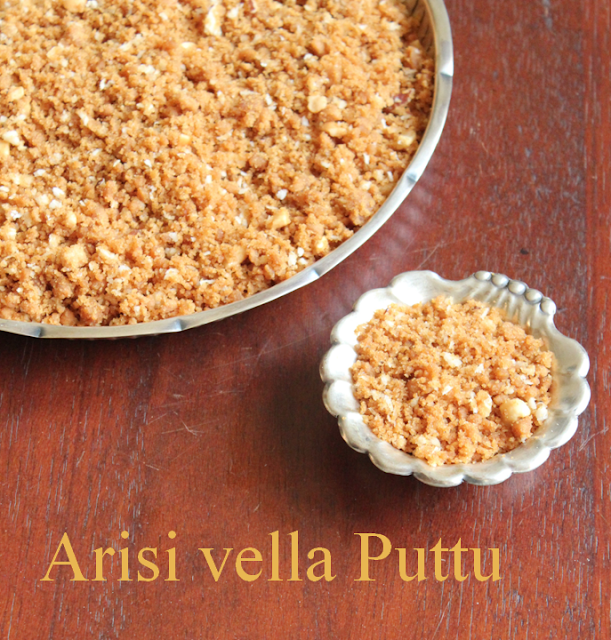 This is a very traditional recipe made especially on fridays of the navrathri.It is quiet a difficult and a long process one.There aren't many recipes for puttu(made this way)on the net too.My aunt is too good at this and i took the recipe from her and of course brushed up with Meenakshi ammal's books. 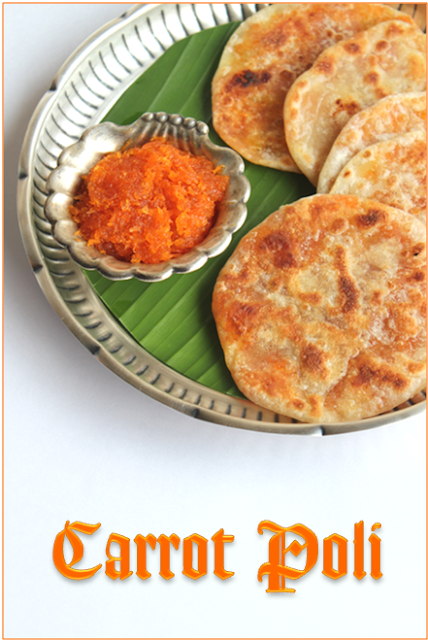 Carrot Poli is a new kind of poli i tasted in Savera hotel (restaurant )when i went for a party.I have not tried or tasted it before that.I tried to figure out the recipe and tried it at home.It is something new and very different and tasty.I really liked it so i thought i will make it and post it for all the readers and for my record.You can make it smaller or bigger as you like and as per the occassion.If there are too many items in your menu that day you can really make them small but if you are making only this poli you can make it a little bigger along with some vadas which would make a delicious snack for you and for your guests.!!!!!!!!! 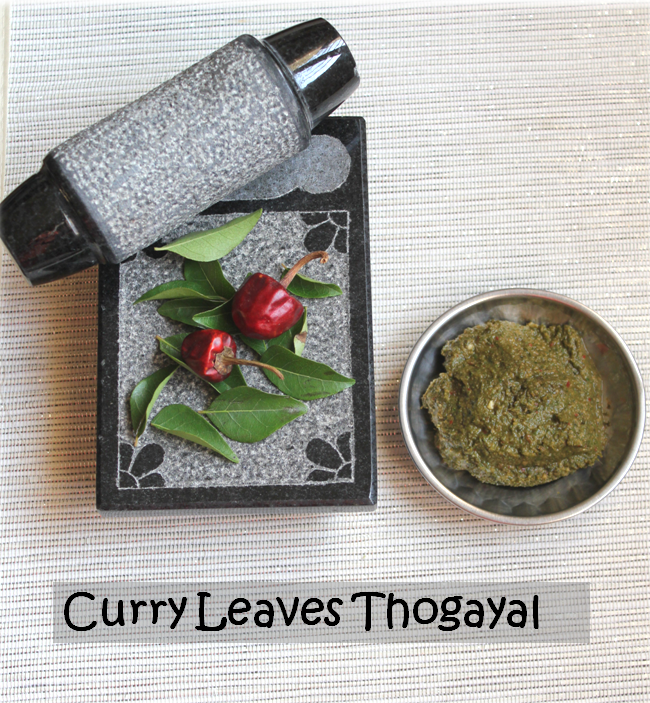 Once in a while i like to make a gravy or a chutney with curry or mint leaves.Today i decided to make curry leaves thogayal(which is my daughter's favourite).My mom always used to say it was very good for health(hair especially) and it has lot of iron. 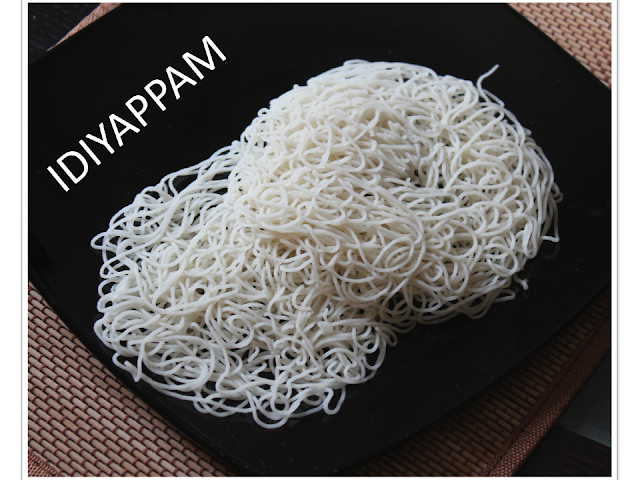 It is quiet simple to make and we usually have it with steaming hot rice and with a spoon of ghee or oil on top of it with some fried pappads.Traditionally they use to grind it in the Ammi(Indian grinding stone) but i ground it in the mixer.I saw this ammi(in the picture)in a shop.I loved it so much!!!! 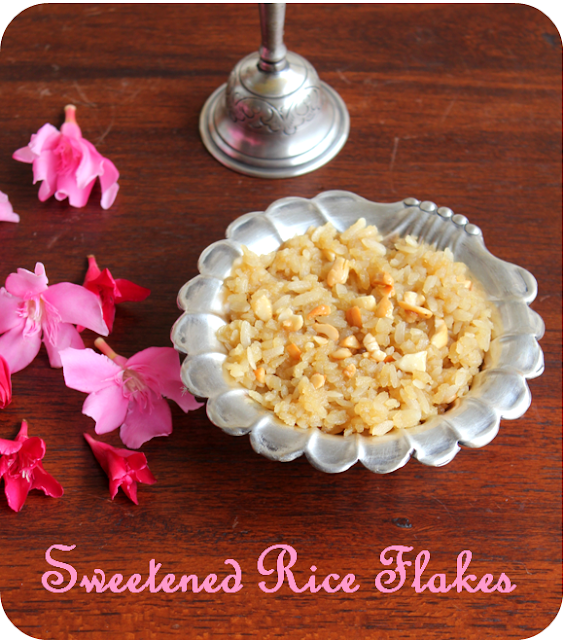 i just bought it to crush garlic or ginger!!! 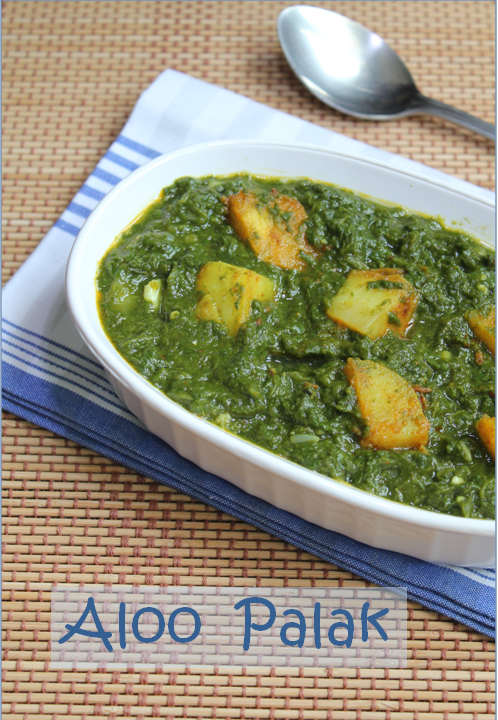 I think i have already posted few palak recipes and that is how health freak i am.yes this is another subzi or gravy (accompaniment)for rotis(Indian breads).Basically you boil the potatoes,dice and saute them with all the spices and simmer in palak or spinach puree. 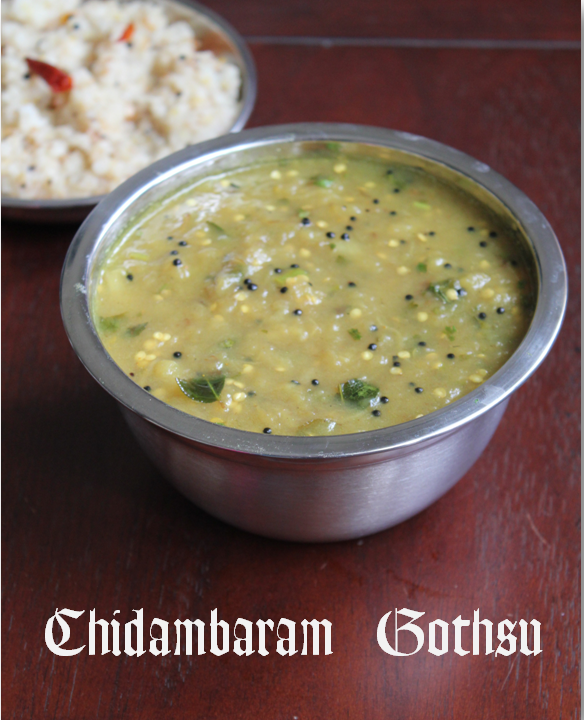 This is also another traditional recipe from Chidambaram.There are quiet a few versions to it.but my mother used to make it in this way so i just follow it.Even though my kids are not a big fan of brinjal they eat it and my hubby loves it with "arisi upma". .My mother used to make this when we were small...Later when we grew up our taste buds changed and kind of forgotten these (traditional)simple recipes.Now I want to record these kind of traditional recipes here. I have been wanting try this Recipe in a long time since i knew how to make only paneer butter masala with paneer.I found this recipe in the following link.And i have posted it today (Tuesday ) to submit for bookmarked Recipes of US masala. 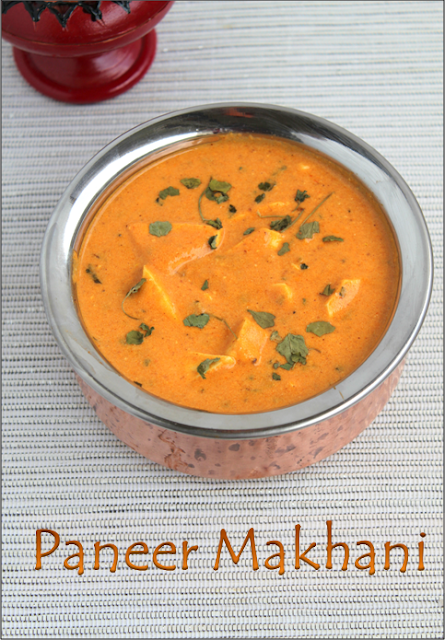 This is quiet simple and fast if you have paneer and creme at home. 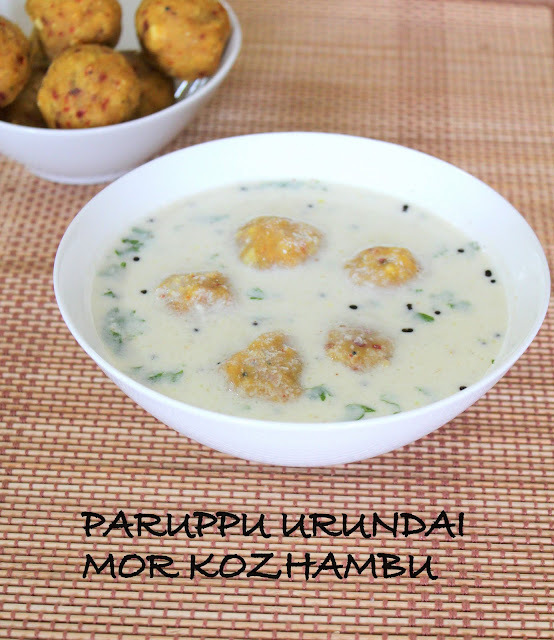 Paruppu urundai morkozhambu is a speciality dish.It is made in two different gravies my mom makes it in mor kozhambu gravy and my mil makes it in tamarind gravy( i will soon post the other one too).I made the mor kozhambu simple because of the paruupu urundai's in them they are quiet heavy.Some people use tur dhal and some make it with channa dal(kadalai paruppu)to make the urudais.You can even use both. 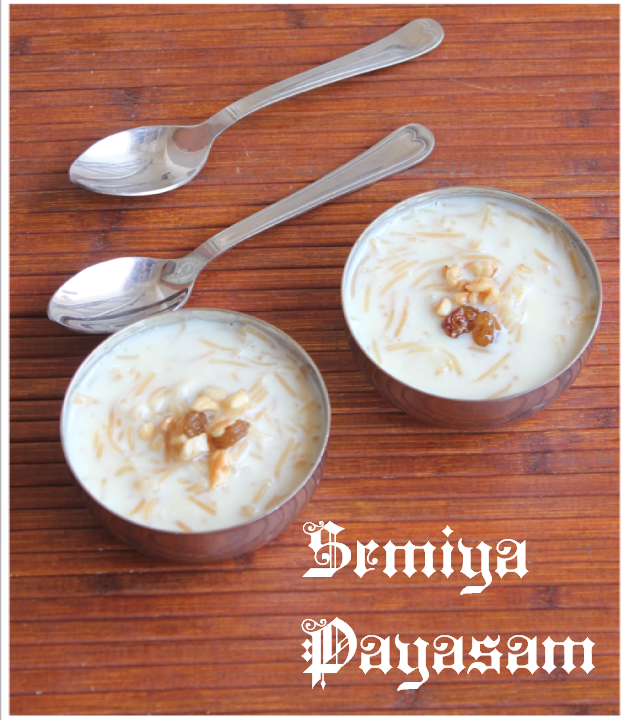 This Payasam or kheer or pudding is the most simple,fast and easiest one to make.Now that you get Roasted Vermicelli in the stores it becomes even more easier. 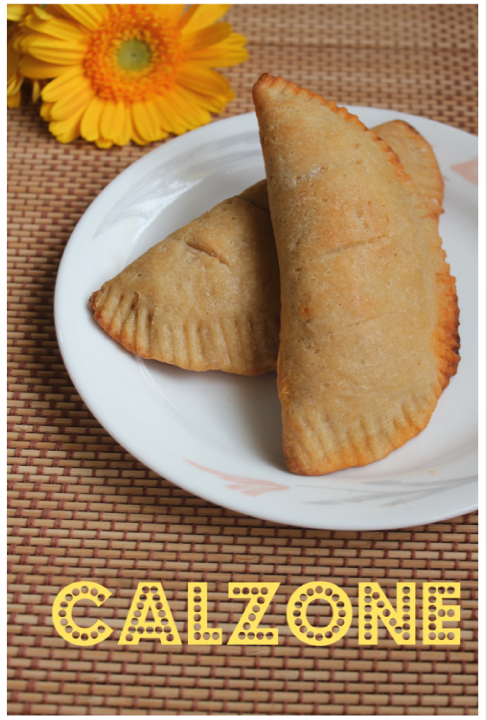 Calzone originates from Italy.It is made of Ingredients similar to pizza folded over and shaped like a crescent.Usually these are stuffed with Tomatoes and mozzarella but i just modified according to my kids taste. 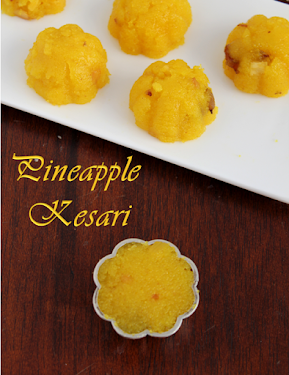 My daughter wanted to have Pizza today so i thought being Friday let me try out something new and that tastes like pizza and while i was browsing found this recipe (I tried from US masala blog)gave it a try and made it little more healthy by adding a lot of wheat flour.My kids were extremely thrilled to see such a new recipe and that tasted like Pizza which they love anyways!!!! 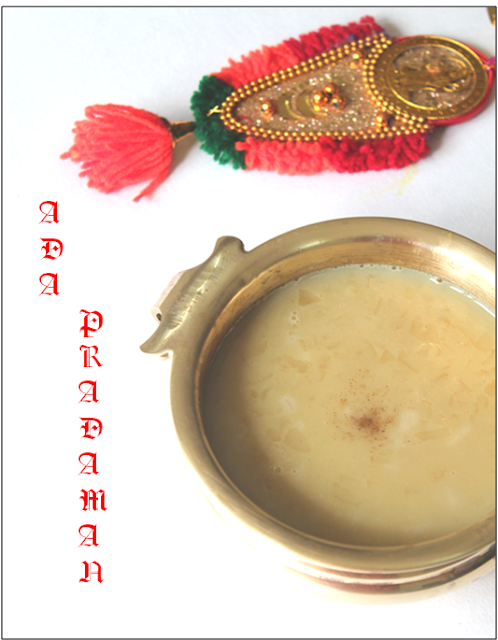 Pradaman is payasam in Malayalam.Tomorrow being Onam I thought let me try out this recipe.I bought the ready made Ada that is available in stores and boiled it and mixed with jaggery and coconut milk and garnished with cardamom powder and edible camphor. Idiyappams are rice noodles which are very soft on the stomach(considered safe food) even when you have a fever.I bought the Idiyappam flour in the store and made it at home.let us see how i made it. 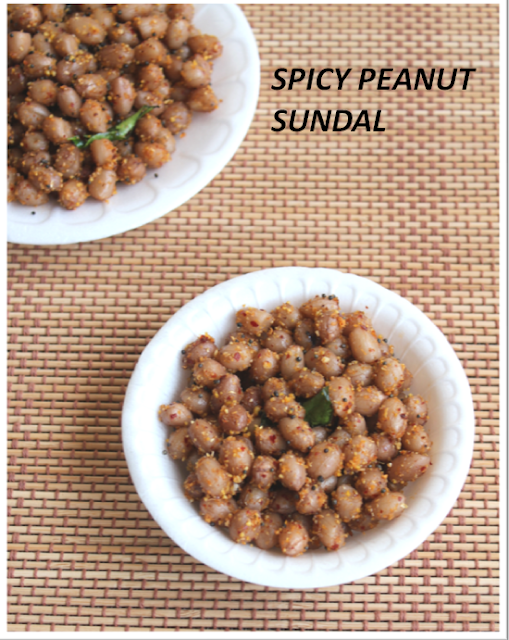 My mother used to make this sundal slightly different than the usual. It is usually tempered with mustard seeds and coconut but she used to add this curry powder which used to make it different,spicy and more tasty.so everyone who came to my house for kolu used to love this!! 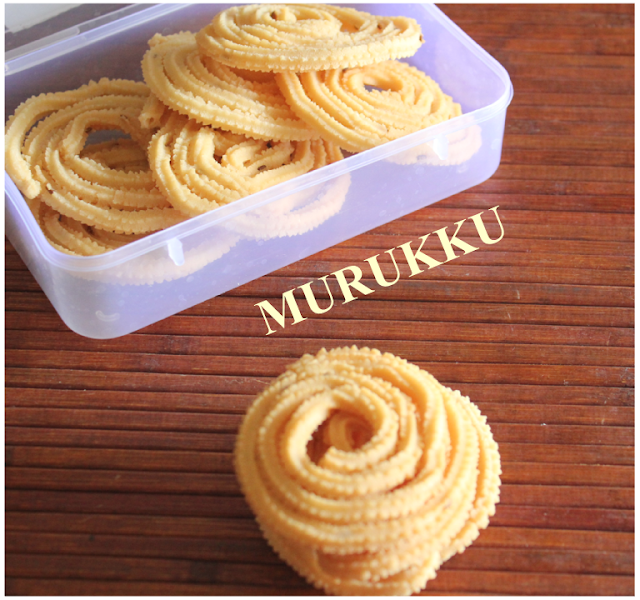 After seeing all the posts for krishna jayanthy i got too tempted to make Murukku.I saw this ready made flour in the shop so just got it and made it immediately.Let us see how i made it. 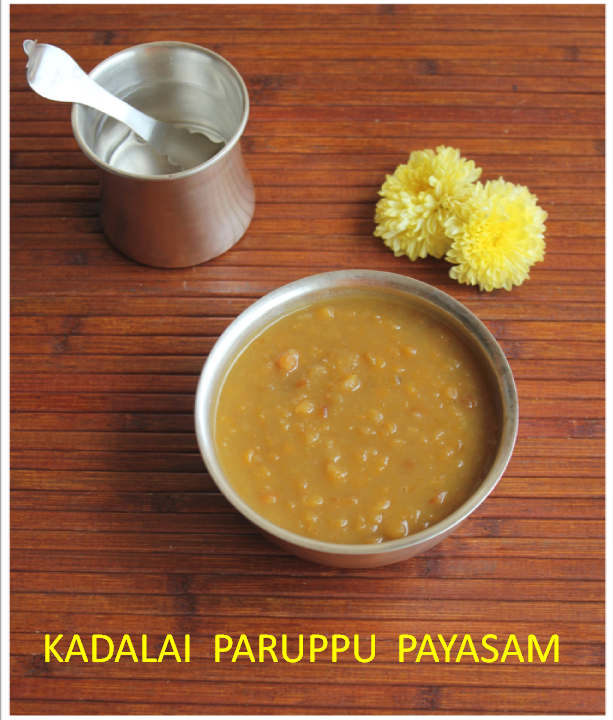 This payasam is made with Channa Dal(kadalai paruppu)and jaggery.It is made on all auspicious days and functions.It is quiet simple and easy to make.You can make this on Navratri days,Ganesh chathurthi,Krishna jayanthi and many other .